CHE ATTRAVERSO' LE TERRE LOMBARDE. 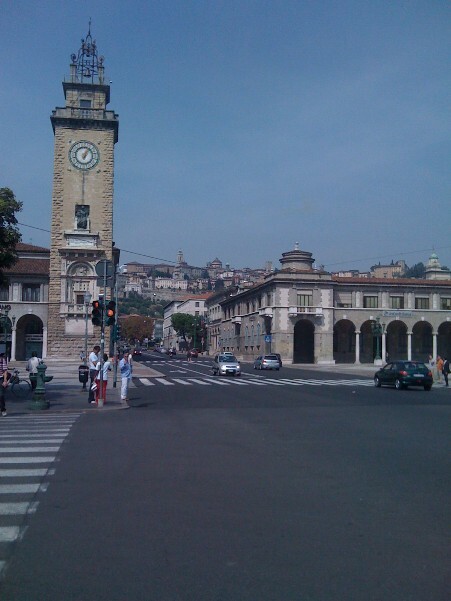 IL NUOVO CENTRO DI BERGAMO COMPLETATO NEL 1927. DOVE SI TROVANO NUMEROSI NEGOZI . 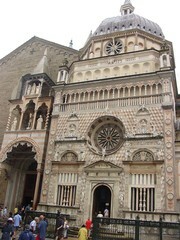 LA CHIESA DI SANTO SPIRITO CON DIPINTI DEL LOTTO E DEL BORGOGNONE. E IL TEATRO DONIZZETTI CON IL MONUMENTO A LUI DEDICATO. IN AUTO MA NON IL SABATO E LA DOMENICA . 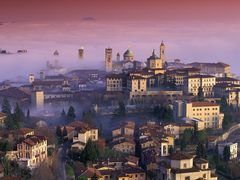 LA CITTA' STORICA SVILUPPATASI SULLA COLLINA. SO HAS WRITTEN A Venetian traveler of the '600 that through 'LANDS LOMBARDO. NEW DOOR AND 'THE FOCAL POINT OF BERGAMO AND LOW ON THIS VAST AREA AND LOCATED THE NEW CENTER OF BERGAMO Completed in 1927. THE WALK BERGAMASCHI WHERE ARE MANY SHOPS. 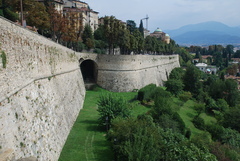 RATE RISES IN THE PALACE OF THE PROVINCE, THE CHURCH OF THE HOLY SPIRIT WITH THE PAINTINGS OF THE LOT AND BORGOGNONE. 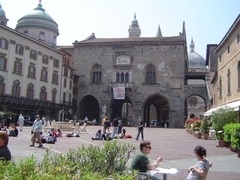 ON Sentierone stands the church of San Bartolomeo and Donizetti THE THEATER WITH THE MONUMENT DEDICATED TO HIM.